A new component of fair housing studies is an analysis of the opportunities residents are afforded in “racially or ethnically concentrated areas of poverty,” also called RCAPs or ECAPs. An RCAP or ECAP is a neighborhood with significant concentrations of extreme poverty and minority populations. •	A Census tract that has a non‐white population of 50 percent or more AND the poverty rate is three times the average tract poverty rate for the metro/micro area, whichever is lower.  This dataset provides socioeconomic data on protected classes from the 2008-2012 American Community Survey on census tracts in Austin’s city limits and designates which of those tracts are considered RCAPs or ECAPs based on these socioeconomic characteristics. A map of the census tracts designated as RCAPs or ECAPs is attached to this dataset and downloadable as a pdf (see below).